between consumers and insurance companies. As health insurance premiums continue to rise at a rate that is more than double national inflation, consumers and carriers alike are moving toward policies with deductibles. Medical insurance programs containing deductibles might appear attractive at first glance, but they present potentially significant dangers to the uninformed consumer. Understanding how health insurance deductibles work will reduce the likelihood of confusion or “sticker shock” when invoices for medical services arrive in the mail. Health insurance deductibles are pre-defined amounts that must be paid by consumers at the time treatment is rendered, and before the insurance carrier will contribute toward the total cost of service. 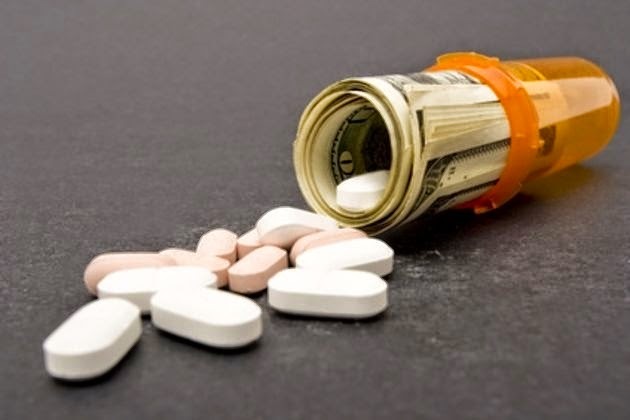 Deductibles obligate the patient to share in a larger portion of medical bills. Although health insurance deductibles can range from a few hundred to a few thousand dollars, “most of the American workforce is expected to have health insurance deductibles of $400 or more,” according to a report issued by PricewaterhouseCoopers. The shift to policies with deductibles illustrates the public’s difficulty in paying rising premiums. Plans with high deductibles usually have lower monthly premiums because insurance carriers are responsible for a smaller portion of treatment expenses. Splitting medical bills with the insurance company results in cheaper policies, because carriers will pay less for procedures. Although policies with deductibles might have a smaller monthly premium than plans without deductibles, great care must be taken when choosing an appropriate policy. Comparisons and cost-versus-benefit analyses should be conducted before enrollment in any health insurance plan. Choosing a policy with a high deductible might mean more affordable monthly premiums, but it also might leave consumers with large medical bills. The monthly savings resulting from a switch to a deductible-based plan must be examined to ensure that the price difference is worth the added liability. Nearly every managed care health insurance plan contains co-pays, which are nominal amounts payable to physicians at the time treatment is rendered. Co-pays are entirely separate from deductibles and are not included in calculations toward the fulfillment of a deductible. Hospital inpatient procedures and surgical center outpatient procedures typically require payment of a deductible before the insurance carrier will contribute toward treatment costs, whereas co-pays must be presented for ordinary office visits, and for minor treatment conducted at laboratories and diagnostic testing centers. In an effort to prevent financial devastation to patients, health insurance plans specify maximum out-of-pocket limits. These limits are the most money consumers should pay for medical treatment during the policy year. Payment of deductibles is always included in maximum out-of-pocket calculations, but co-pay amounts are not. If the maximum threshold is reached or exceeded by an insured consumer, all subsequent medical treatment is provided at no cost to the patient and is billed directly to the carrier. InsuranceQuotes.info: How Do Health Insurance Deductibles Work?